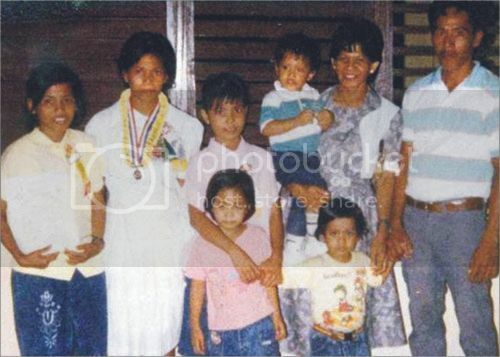 Photo: This is our oldest family picture that we have, taken after the graduation of our eldest sister in elementary. I'm the one on a pink shirt at the front row. I really wanted to have a DSLR camera either Canon or Nikon, but having this GE X5 Digital Camera will be definitely great! * This is my entry to Yugatech's Contest: Show me your oldest photo!